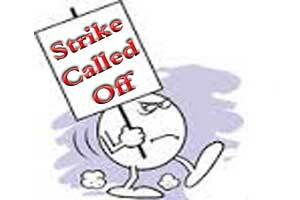 New Delhi: The strike called by the resident doctors at the Safdarjung Hospital over an alleged assault on a woman doctor was called off this evening after a decision to deploy 100 security guards was taken by the administration. The resident doctors at the hospital had gone on strike last evening alleging that one of their colleagues was assaulted by a woman patient in an antenatal clinic in the OPD. Emergency services were affected at the hospital as the doctors stayed away from work demanding enhanced security on the premises and parity in the doctor-patient ratio. The hospital medical superintendent along with the members of resident doctors association met the additional health secretary, Sanjeeva Kumar, at the health ministry following a decision to employ 100 guards with immediate effect was taken. “Consideration for Risk Hardship allowance and NPA allowance will be examined by the Ministry. “A proposal for consideration to increase the number of senior residents and junior residents to meet the present needs of patient care may be submitted by the medical superintendent to the Ministry keeping in mind the current doctor-patient ratio (last evaluated in 2007-08),” the minutes of the meeting read. Further, it was decided that monthly meeting of the RDA with local hospital administrative authorities and quarterly meeting of RDA with the ministry will be held regularly. Also, it was decided that no penal action in any form will be taken against any resident for participating in this strike. “Yesterday, around 2.30 pm, a 30-year-old patient assaulted a woman doctor in the antenatal clinic in the OPD alleging that her treatment was being delayed,” Resident Doctors’ Association President Dheer Singh had claimed. “Such incidents have become a routine here,” he alleged. A FIR has also been filed at the Safdarjung Enclave police station in connection with the incident.